Looking For-Best of David Hasselhoff When "Knight Rider" and "Bay Watch" ended, I felt a distinct void in my life. Without Hasselfhoff's bouncing pecs gracing my television, life simply felt drab and unfulfilling. Imagine my delight when I discovered that Hasselhoff had not disappeared at all, but rather REEMERGED, this time as a serious force in music. It reminded me of when Leonard Nimoy had recorded his stirring tribute to Tolkien, "The Ballad of Bilbo Baggins." It was that moving and momentous for me. Honestly, few Americans truly appreciate how Hasselhoff singularly reshaped the entire landscape of German music. Auf wiedersehen, Amadeus. Hasselhoff ist hier! Achtung! Achtung! Der GENIUS of Herr Hasselhoff!! Looking For-Best of David Hasselhoff Economic nationalists throughout the country shuddered when the Commerce Department announced a Q3 trade imbalance comfortably exceeding $100 billion, the highest on record. We buy our electronics from Japan, our confections from France, and our oil from the Persian Gulf. So why must we import the cream of our own culture from abroad? We don't store the Constitution in Germany. We don't launch the Space Shuttle from China. So why must we buy our Hasselhoff from distant foreign lands? Demand for this benchmark piece of Americana will surely send the trade economy reeling even closer to the abyss. A little something for everyone on this disc! 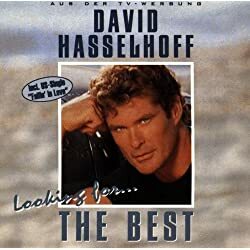 Looking For-Best of David Hasselhoff There is little doubt now that David Husselshaft is a major force in the music business these days. I've already been a fan for many years, but an amazing thing happened recently which I have to share. The doctor said my dog Cherish had only days to live. 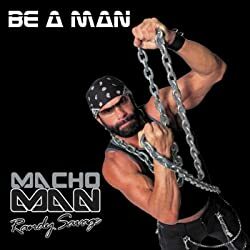 Desperate for any sign of recovery, I played this CD in the garage for him 24/7, and not only did my dog die, but so did 2 cats and all of my plants. My neighbor came down with a rare form of stomach virus, the one causes massive cramping and explosive diarrhea. Boy did I prove that doctor wrong!